We have been talking a lot about Halloween events happening around Orange County, but there is also the biggest Halloween party starting today online at Club Penguin. Club Penguin is the only online game that I allow my children to play, because I know that Disney is keeping it safe for my children. 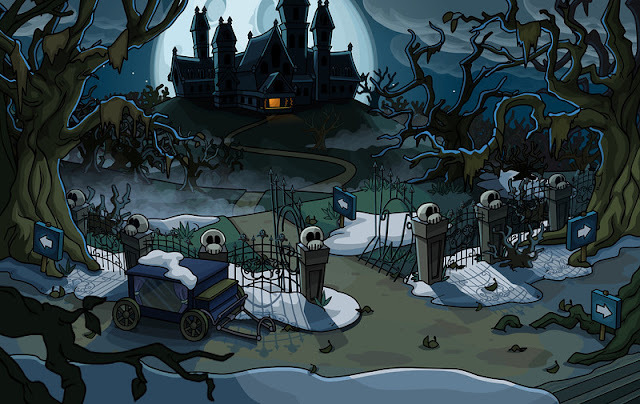 The Club Penguin Halloween Party is the largest Halloween online event for children with more than 6 million kids participating in last year's event. This year it is going to feature more ghoulishly fun times, including a new inspired Haunted Mansion attraction found at Walt Disney Parks and Resorts. Ghosts and ghost hunters have taken over Club Penguin, and children will try to solve the spooky mystery while playing. There will be the latest Club Penguin single, "Ghosts Just Wanna Dance" playing while the penguins take part in two new spook-tacular scavenger hunts. The online party will begin in October 18th and will happen until November 1st. Spooky Island Transformation: The Island will be overrun with ghosts and it is up to players to protect it by becoming ghost hunters. Walt Disney Parks and Resorts-Inspired Haunted Mansion: This year’s party will feature a new haunted mansion, inspired by the Haunted Mansion attraction found at Walt Disney Parks and Resorts. By exploring the 9-room mansion, fans will discover numerous nods to the infamous ride, like the maid and butler costumes worn by Haunted Mansion cast members. Ghost Goggles and Ghost Lab: Once they find the Ghost Goggles hidden in the haunted mansion, players will be able to see the ghosts that are haunting the Island, as well unearth the Ghost Lab. Spook-tacular Scavenger Hunts: Players can complete the “To Boo” list during two new Halloween Scavenger Hunts, giving them the chance to unlock a secret chest and earn new igloo items. 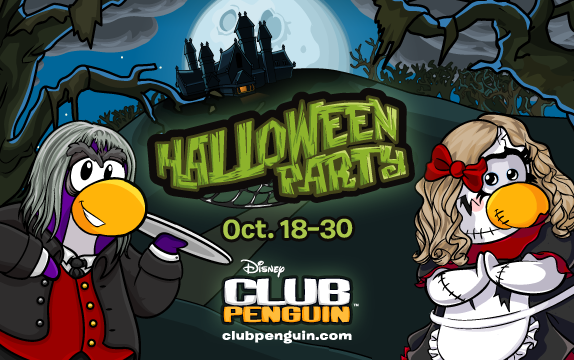 Brand New Song: Penguin Band featuring Cadence has released a haunting new song for Halloween – “Ghosts Just Wanna Dance,” that members can play in their igloo when throwing the ultimate Halloween party. Cool Costumes: Players can dress their penguins in the coolest Halloween costumes yet – ghost catchers, ghosts, slices of pizza, ninja robots, creepy cats and more! Famous Penguin Visits: Lucky players will be able to interact with Gary the Gadget Guy during the Halloween party, helping him solve the mystery of his great uncle Gariwald’s disappearance. Igloo Contest: Club Penguin is holding their annual igloo contest, encouraging players to decorate with their most fearsome furnishings for the chance to win huge in-world prizes. Disclosure: We were provided with some special Club Penguin Halloween fun. All our thoughts and opinions are of our own.